Part of my Fellowship here in Bolivia is to complete two Borrower Verifications (BVs) for two Kiva partner microfinance intuitions: Emprender and IMPRO. During the BV, I ask four questions to verify that the borrower is the real borrower, and I ask one question to understand the Kiva borrower better. This one question: What is your dream for you life or your business, is the most moving part of my Fellowship. I am so inspired by Kiva borrowers. Some of their dreams are simple, some are grand, and others take hold of my heart with profound sincerity. I would like to introduce you to my friends and their dreams. Gregoria is a mother of seven, four of which live at home, and she sells shoes in the local markets around Santa Cruz, Bolivia. I visited her in a half-constructed small home in the outskirts of town; her sons built the home using their mom’s profits. Her three sons adore their mother and are all a part of the business decisions and the loan process. 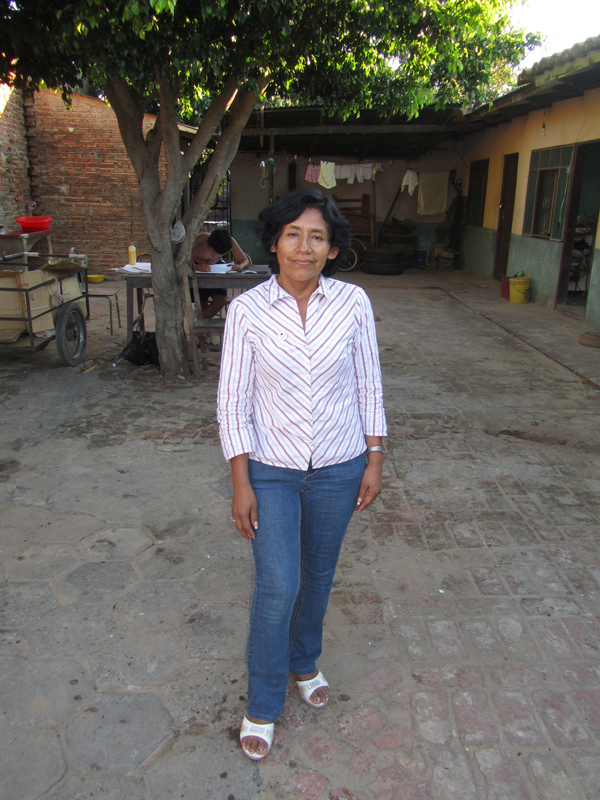 With a huge smile Gregoria said her dream was to purchase sewing machines and make clothing. This will allow her to employ her sons with a steady job. Clearly the bond of the family would be a driving force in her business. 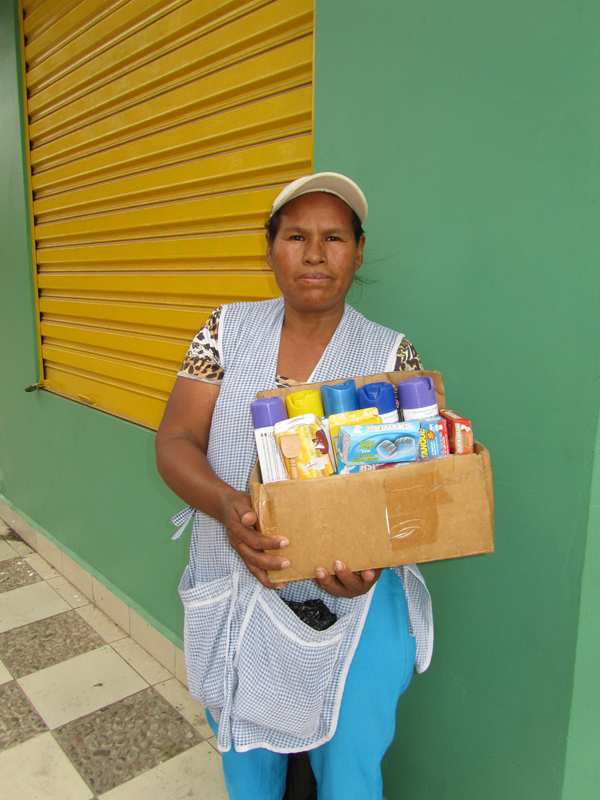 Irene sells cleaning towels, cleaning products, and small household items out of a small cardboard box. Her business is, well, a traveling business. She walks twelve hours per day along the streets between towns selling these small items. I met Irene in the mid-morning after she had been walking for a few hours; she was already tired. “I am getting old,” she said, and she isn’t able to walk as far or as long as she used to do. With great strength she does not complain about walking, but her dream is to purchase a car so she does not need to walk everywhere and wear herself out to make a living. 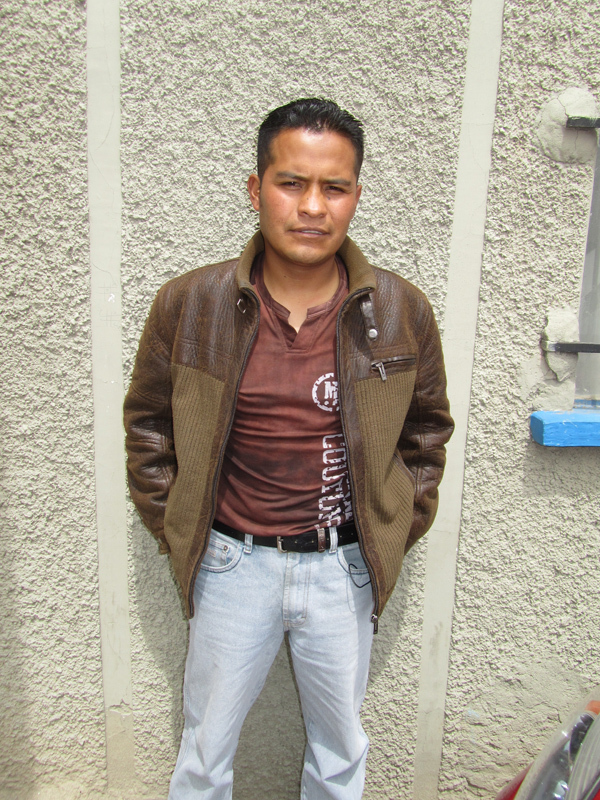 Teodocio lives with his wife and two daughters in El Alto, Bolivia. He works at home three days a week making large brimmed hats for field workers and he sells the hats in the marketplace the rest of the week. 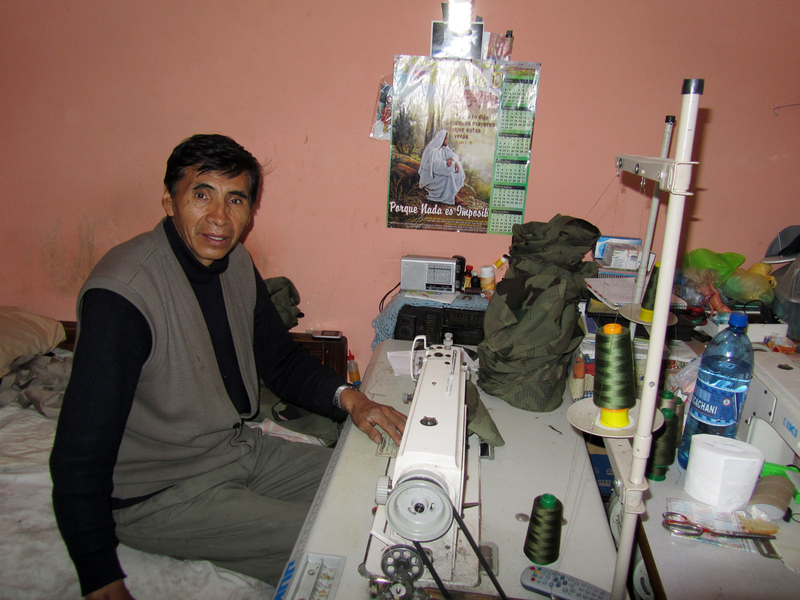 He previously had one sewing machine to complete his work, but then purchased a second sewing machine with his loan. Since taking out his loan Teodocio has been able to employ both his daughters to sew the hats. Teodocio’s dream is to buy a fabric cutter to create custom designs and produce the fabric cuts at the pace and moment he needs them. Valentine is a farmer and raises cattle in the quiet warm agriculture area outside of Santa Cruz, Bolivia. 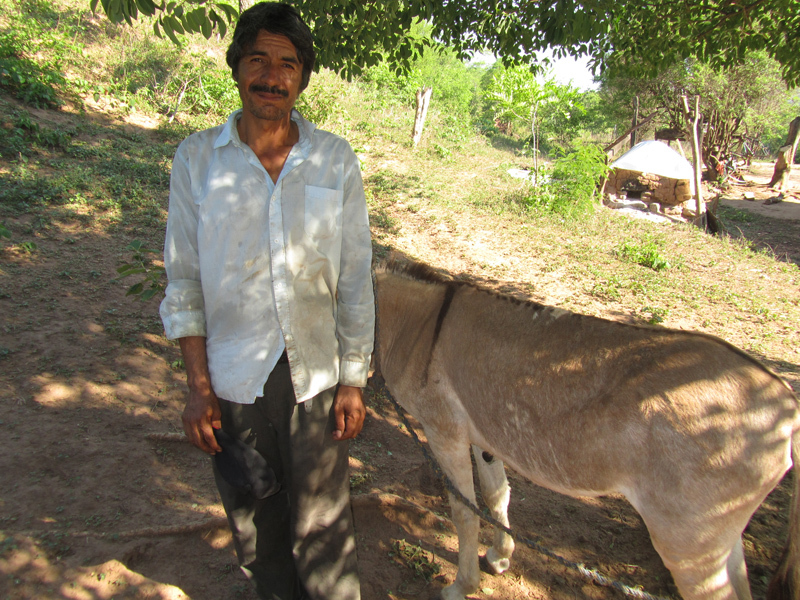 He has 30 cows and a few fields where he plants corn, yucca, and peanuts. Valentine lives in a house on the hillside with his wife and young son who loves to sing (he is about 6 years old and sang a few songs while strumming his guitar). I asked Vincent why he took out loans, “if I didn’t have a loan I couldn’t buy more seeds. If I do buy more seeds then I can plant and harvest more fields.” It’s that simple. Valentine’s dream is to buy more cows for his farm and more seeds to plant – both of which allow him to supply the local cooperative market. 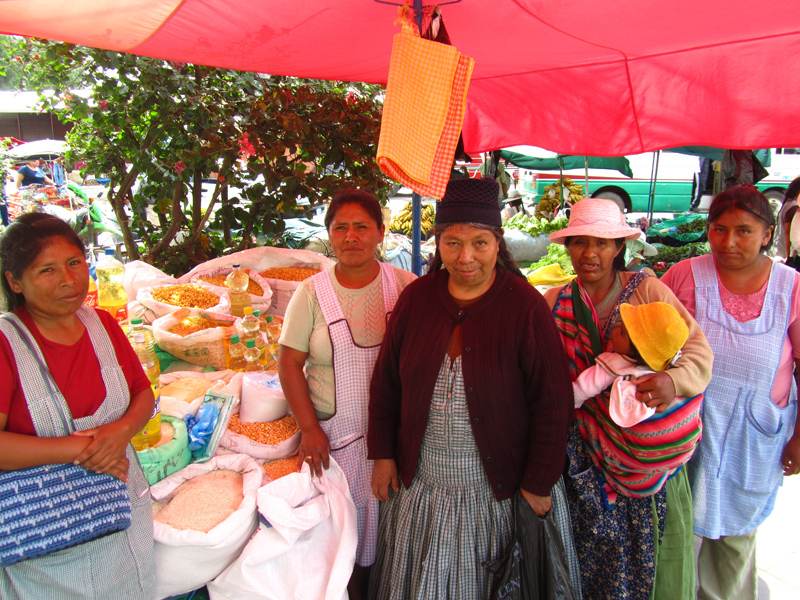 Elvira is member of the nine-woman-strong “New Hope” group working in a street market of Cochabamba, Bolivia. She sells noodles, rice, and beans in her market stall and is the dedicated leader of the solidarity group. 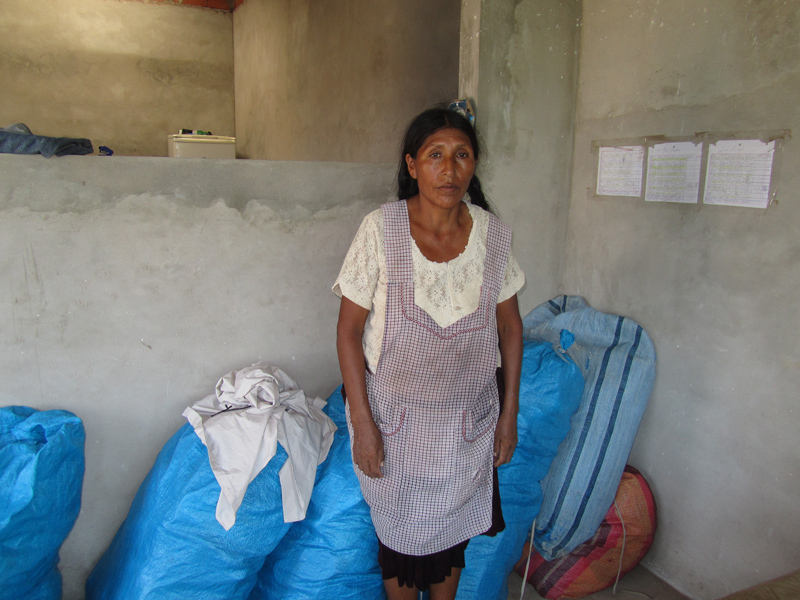 With the few profits Elvira makes each month, her dream is to construct and complete a home. “That is all I want…to construct a home,” she said. 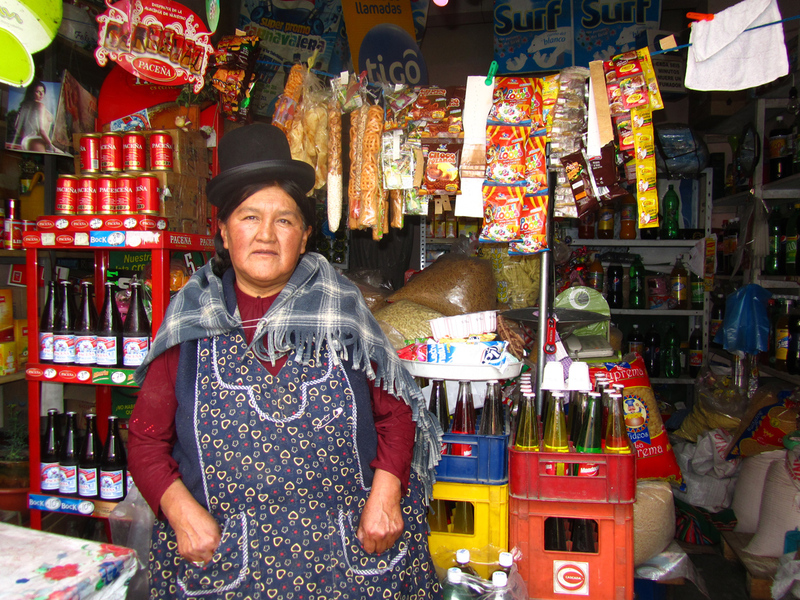 Martina lives in the rural town of Achacachi, Bolivia near the shores of Lake Titicaca. She owns four dairy cows and sells the milk to a local cooperative in her area. She has two sons in their early twenties who are attending university in La Paz. Her dream is to pay for her two sons to graduate from university. She has been using all her profits from milk sales to pay for their education. 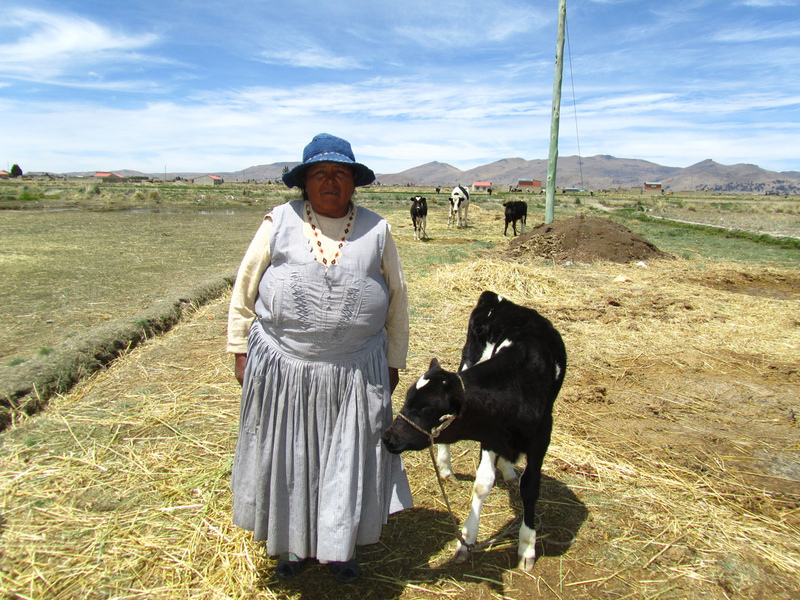 She purchased her fourth dairy cow with her loan, but it has since become pregnant and currently produces little milk. Despite slow milk production and sales, Martina is determined to pay for their schooling. Even while things are uncertain until the cow’s birth in January, she is frugal and knows she will see them both complete their education. Gabriel drives a dump truck for hire in La Paz, Bolivia. 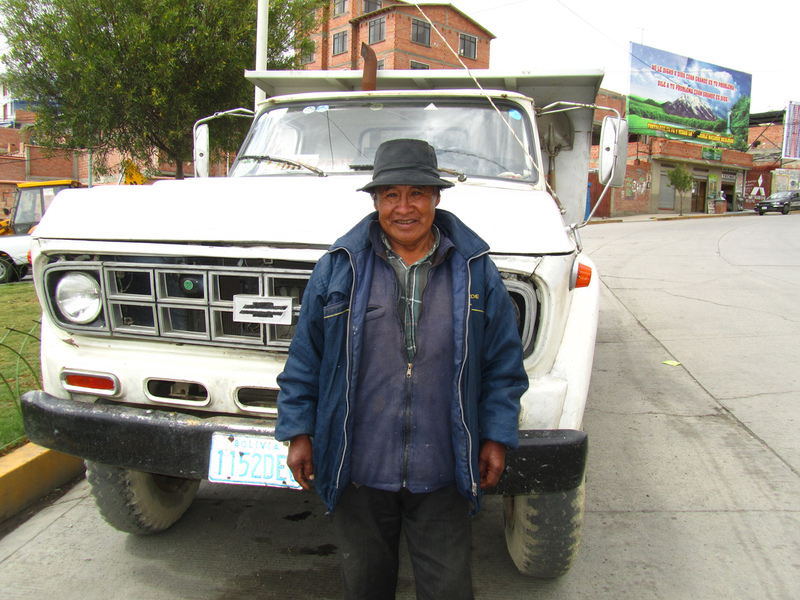 He used his Kiva loan to buy a new motor for his truck; his other motor up and died a few months ago. As an older man it is difficult to get steady work, so he relies solely on his skill of driving large trucks. He is the only worker in his family, and his financial situation is delicate, so if his motor goes out he has no income. 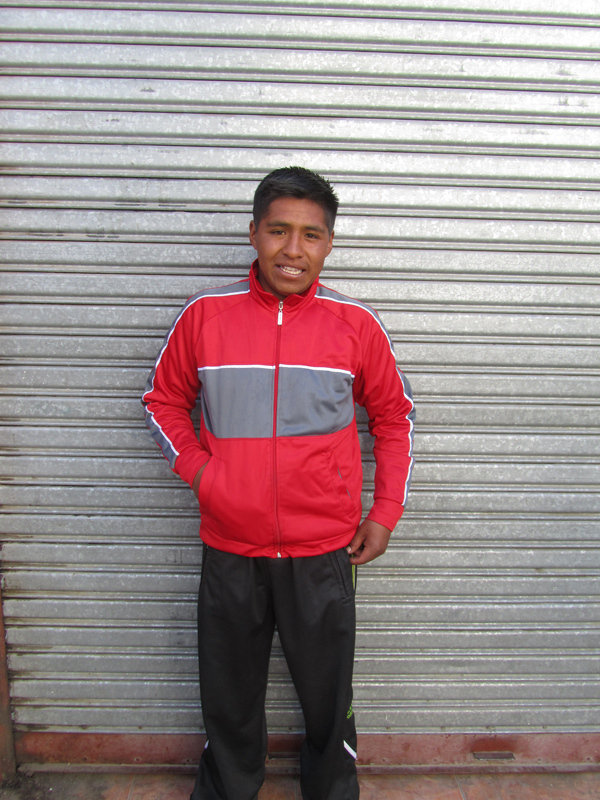 Gabriel’s dream is to purchase a new, reliable dump truck to ensure his employment and steady income. He then would not need to worry if his “business” could break down at any moment. 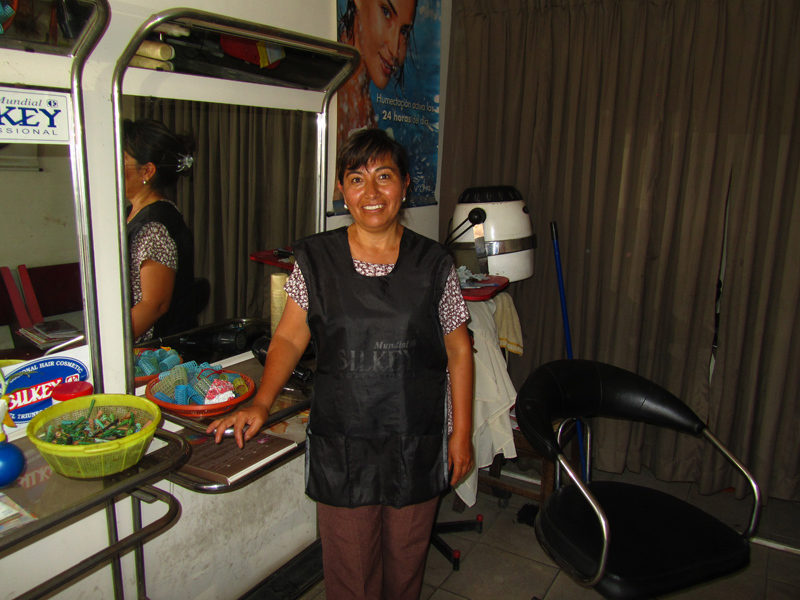 Lilian owns a two-chair hair salon in Cochabamba, Bolivia. She is extremely kind, welcoming, and a great hairdresser. During my whole interview she had a huge smile and described how her loan allowed her to buy more hair products to sell to her customers. When asked about her dream, Lilian exhaled, rolled her lips inward, and closed her eyes, “I want to take hairdressing classes and workshops in Europe or the United States. I have heard of these classes and want to learn new styles and see Europe.” She knows it would be expensive, but she still has hope that one day her dream will come true. Hugo is a puzzle maker in El Alto, Bolivia. 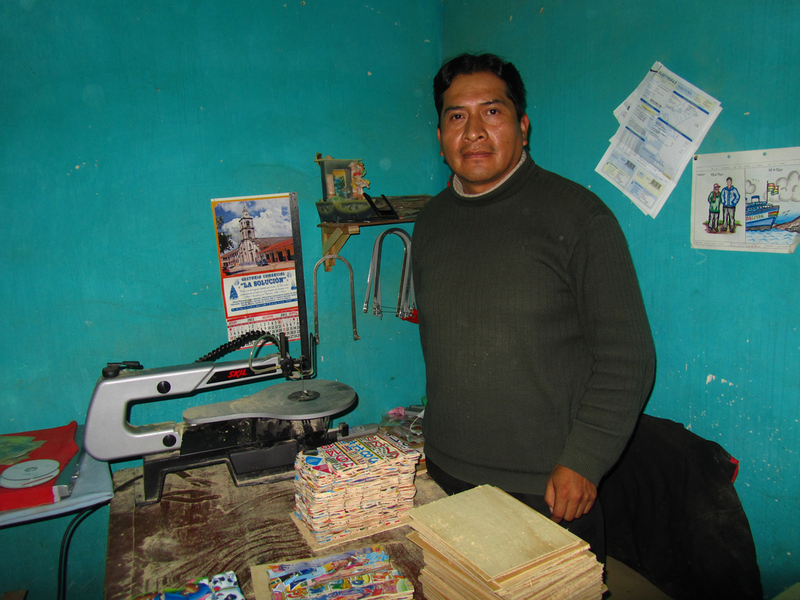 With his Kiva loan he purchased a skill saw to cut the intricate shapes of children’s puzzles. Previously he was cutting all the shapes by hand using a small tricky saw. Hugo’s dream is to purchase another skill saw and hire an employee (who would become his apprentice). He says there are plenty of people who want to work in his area and there is also high demand for his puzzles. Hugo loves puzzle making, and expanding his business is his ultimate goal. Cesar owns two restaurants in La Paz, Bolivia, one is directly across from a local high school and the other is in a small neighborhood. With his wife, they have taken out a loan to expand and remodel the restaurants. “There are internet cafés, restaurants, and book stores,” he said, “but no one in his areas has combined all of them.” A true entrepreneur, Cesar’s dream is to remodel his restaurant, connect wi-fi, and offer bookstore items for the nearby high school students. Eric studied at a local university in La Paz, Bolivia. He has been working at his father’s printing and copy shop making money to pay for his classes. However, he has had to take some time off from school to save up enough to continue his classes later. In the mean time he has decided to pursue owning his own print and copy shop. Learning from his father how to run a print and copy business, Eric’s dream is to use a loan and purchase his own copy machine and printers…thus moving out on his own and starting his own business. Miguel has taken out two loans so far. He lives in a rural farming community hours away from La Paz, Bolivia. 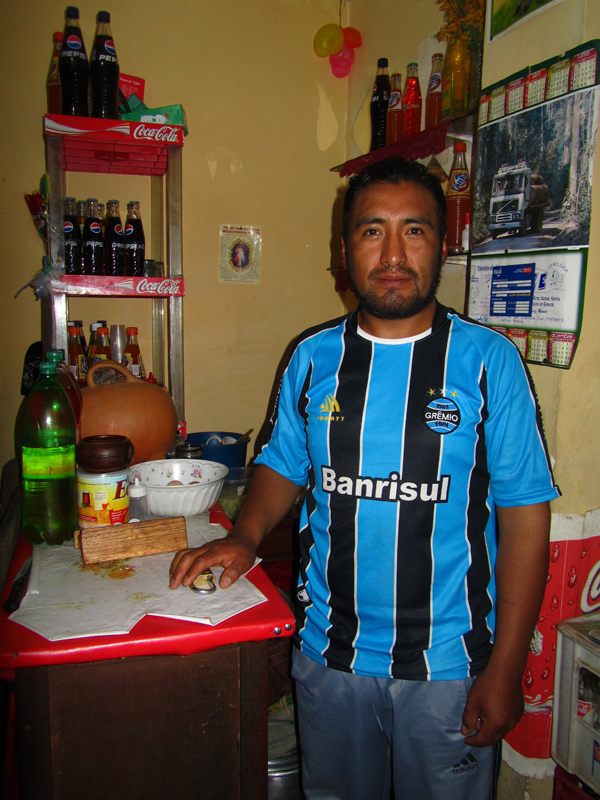 His uncle owns a farm with dairy cows, and Miguel wanted to try his hand at owning a dairy. With his first loan he purchased a cow, and he did the same with his second loan. His dream is to be a dairy farmer and little by little he is reaching his dream. Ben is a painter who specializes in the restoration of 17th-19th century colonial art works living in La Paz, Bolivia. With his loan he was able to purchase more works of art in antique shops and more supplies to continue his restoration business. 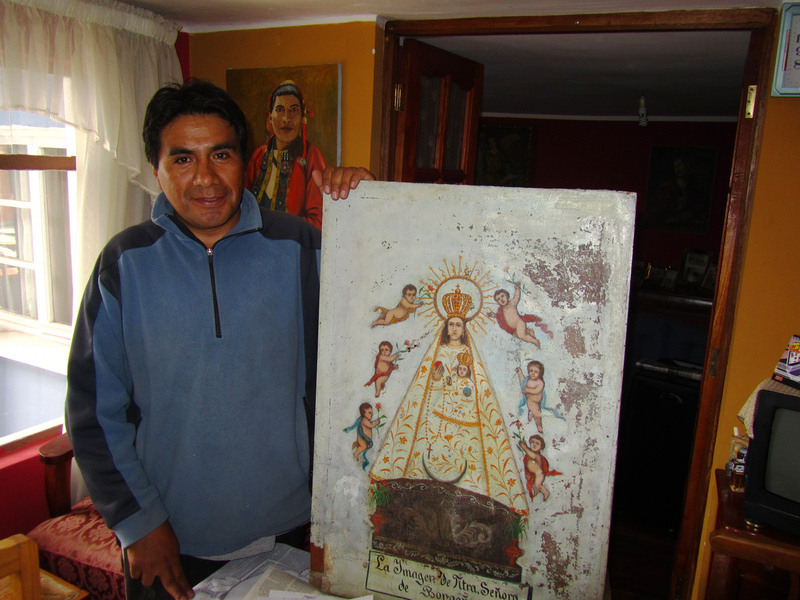 Ben sells his renovated pieces to private collectors as well as in the markets of La Paz. He lives with his wife and two daughters in a beautiful little home with paintings (most are his own) from floor to ceiling. His dream is to make enough money to send his two young daughters to school through university level. I feel privileged to have had the opportunity to share with you the dreams of some Kiva borrowers I met here in Bolivia. Dreams are a wonderful thing to share and are a part of people’s lives regardless of economic standing. It may be expected that people living in developing countries might only have dreams for cleaner water or better healthcare, however most have very concrete dreams for one more cow or traveling to Europe or owning a car. There is kind of a glass ceiling above people in developing countries in the perception that poorer people might only want potable water or medicine. This idea really limits their dreams and desires to a perception of what I (we) feel they are asking for. Their dreams are greater and go further than I can imagine. The dreamers are creating their futures..! How awesome that Kiva is able to play a small part in assisting these borrowers on the path to their dreams!? So Kiva Lenders, thank you for believing in and promoting the dreams of the borrowers. Seriously, though, thank you. Eric Rindal is a part of the Kiva Fellows 16th class in La Paz, Bolivia. He is currently working with Emprender and IMPRO. He was previously in KF15 based in Sierra Leone. If you would like to contact Eric, just visit his lender page. Entry filed under: Americas, blogsherpa, Bolivia, Emprender, IMPRO, KF15 (Kiva Fellows 15th Class), KF16 (Kiva Fellows 16th Class), KF16 (Kiva Fellows 16th Class), Kiva Field Partners. Tags: Family and Community Empowerment, innovation, social performance. This is a great post, Eric. Thanks for asking the question and for sharing the answers!